Spider veins are a common problem and are often the result of a genetic tendency or occur after pregnancy. 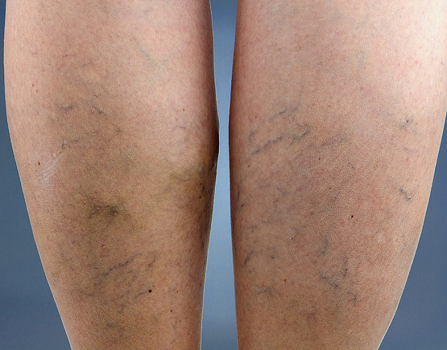 For superficial leg veins we can offer effective vascular laser treatment. Please enquire to see if your veins are suitable for this treatment. In general, veins up to a diameter of 4 mm respond best to laser. The treatment is associated with only minimal discomfort and aftercare is very simple. There is no requirement to wear compression stockings! Usually two to three treatments are required for significant improvement. Cost depends on the extend of the treated area and starts at $250. Please speak to our cosmetic assistants and laser therapists for further information.